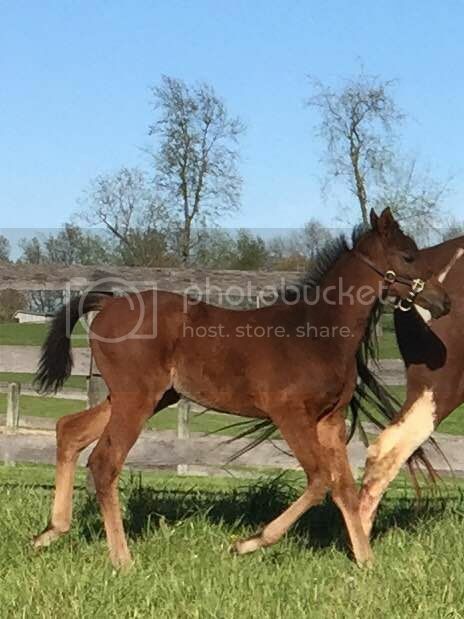 Photos of Sidney's Candy o/o Thrill After Dark filly foaled late Feb. Sadly we lost Thrill After Dark this past weekend to a ruptured intestine. 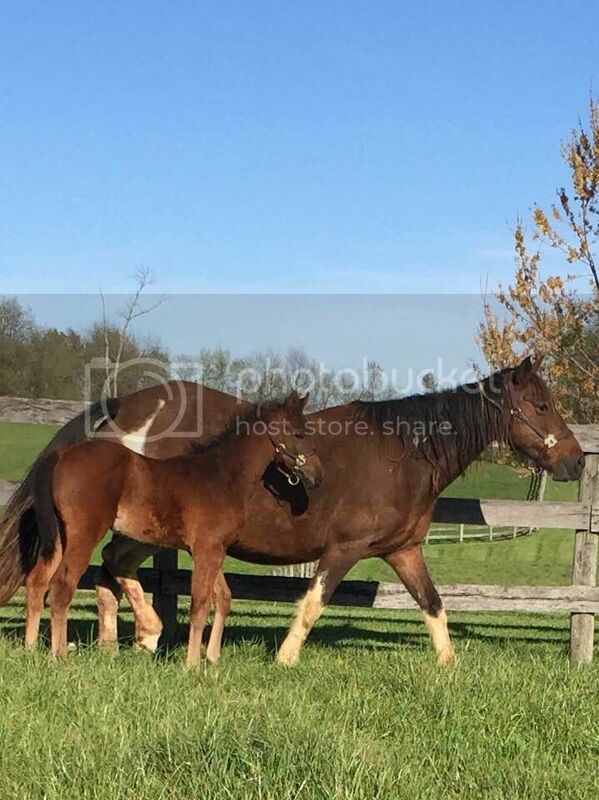 Placed our filly with another TB mare that had lost her foal. 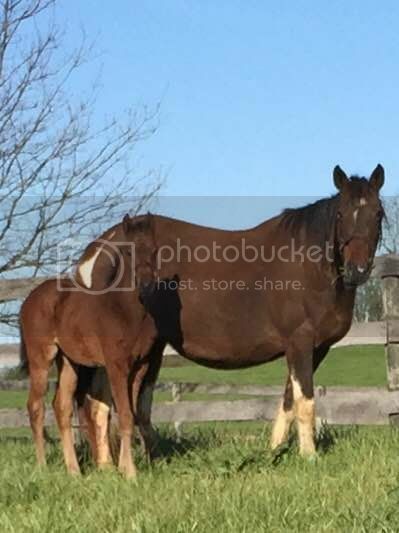 The mare accepted our foal, but then she had some medical issues and had to be taken to the hospital. Our filly was then placed with another mare. 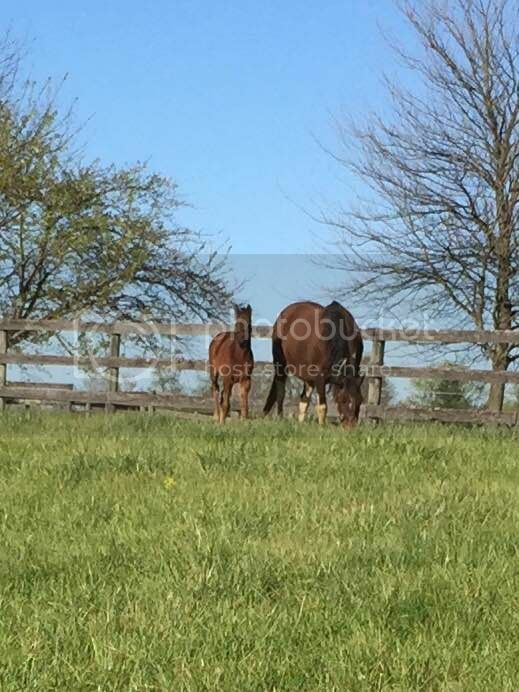 Again the mare accepted our filly, but had to be removed for an undetermined reason. She was placed with a non TB mare and things seem to be working out great. Through this whole ordeal our little filly never turned a hair. Wow your girl is resilient. So sorry about your mare! Nice filly. I hope Sidney's Candy steps up with some more runners soon, his stock has fallen like a lead balloon. I have two fillies by him, the most recent one arrived 3/22 and it would be good to sell them. Yes, Sidney's Candy progeny hasn't shown much. Seems most of his winners have to do it in claiming company. Only one stakes winner thus far. Best of luck with your two S. Candy babies. So sorry about your mare, Shergar. Good luck with the filly.